Before early voting even began this week, a pall marked the elections in the city of Donna where a mayoral candidate’s eligibility is at question due to an untimely land annexation dispute. The takeaway has left Donna voters confused and disheartened and comes at a time when citizens should instead be encouraged and engaged to go to the polls and fulfill their civic duty — something Hidalgo County elections officials are working hard to do. We find the entire unfortunate episode in Donna completely avoidable and ill-timed. It shows that Donna officials have lost sight of the bigger picture of serving the public, which is civic engagement and participation. Instead, this particular situation might discourage, rather than encourage, voters. And the last-minute drama associated with this situation could have been avoided by working on this issue many weeks ago. However, on Friday evening, just three days before the election, Donna City secretary Laura Balderrama reached out to Hidalgo County Elections administrators requesting that mayoral candidate Ernesto Lugo Jr., be barred from voting in city elections saying that he did not live within the city’s limits, according to a Monitor article Monday by Reporter Cristina Garcia. This came after city officials on Oct. 12, declared Lugo “administratively” ineligible for the mayoral job in a letter sent to him. Whether or not Lugo’s home, at 2115 Lott Road, is within city boundaries, is something that should have been thoroughly vetted months ago. Lugo filed for candidacy in August, and if city officials had qualms with the boundaries, this should have all been aired in the open then. It should not have been a last minute dispute that will undoubtedly diminish the reputation of these elections and cloud the results. According to emails obtained by The Monitor, city officials waited several months, until Oct. 20, to reach out to the Hidalgo County Elections Department. 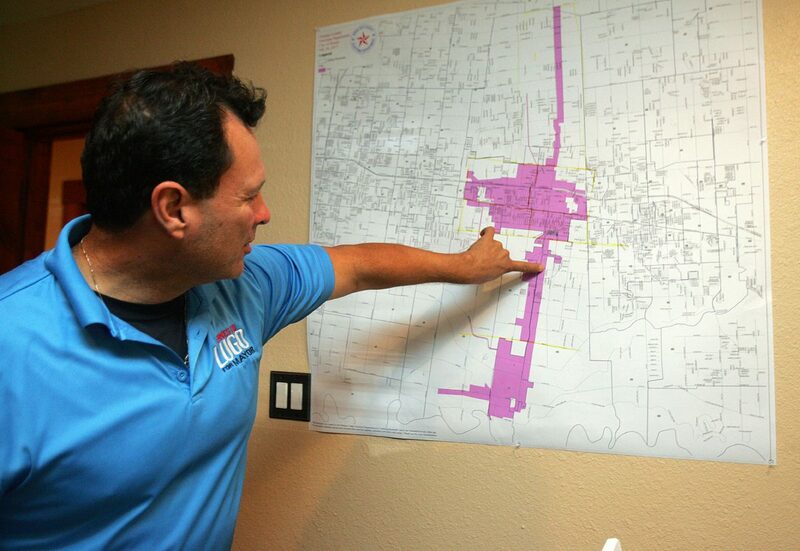 Hidalgo County Elections Administrator Yvonne Ramón told The Monitor that, according to their maps, the property was within the city and no notification for de-annexation had been sent to them, which might have placed his property outside city limits. This latest incident comes at a time when Hidalgo County officials are making great efforts to reach out to voters to make polls more accessible to more people. We praise the efforts of Hidalgo County Commissioners, which have allocated hundreds of thousands of more dollars toward keeping countywide polls open earlier and longer, and are even paying poll workers and election judges more money to attract qualified workers. And for the first time, on Election Day, Nov. 7, Hidalgo County citizens may cast their ballots at any precinct, meaning they do not have to go to a specific polling place. We encourage all voters to participate in this constitutional election, and to remember it is their civic duty to be active in our democratic process — regardless of any the unnecessary drama.